So Ya, Thought Ya, Might Like To, Go To The Show…. Fifth time is a charm! I have caught OLP 4 times prior to last night including a small acoustic set at a local radio station. With the exception of the acoustic set I have been less than impressed with their live sound. Last night was much, much different! I have good rock & roll luck and as it would have it last night I ran into a guy selling a front row centre pair way below cost, nice! It was meant to be as I had tried earlier to get into the Mod Club for the Sirius Radio Song writers show featuring Joel Plaskett, Jeff Martin, Default and The Trews. 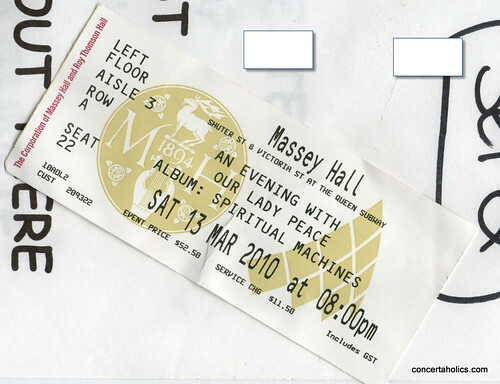 When this wasn’t working out I went over to Massey for the OLP’s presentation of Spiritual Machines. The stage set up in the Sean O’Sullivan Theater at at Brock University on Friday night was evidence that there wasn’t going to be a rock show. On the stage were 2 microphone stands, 5 guitars and a keyboard. 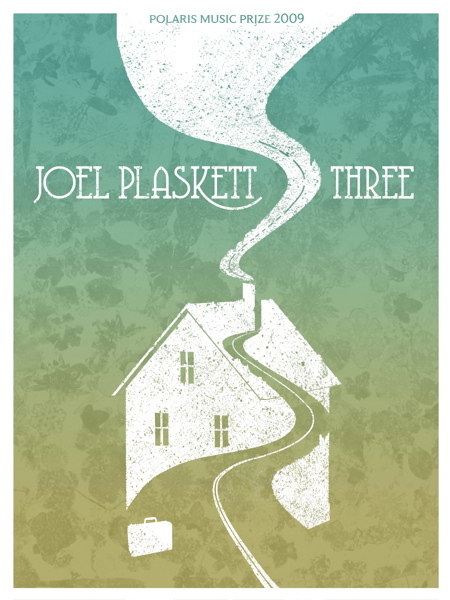 When he was introduced the tall, lanky Plaskett appeared as though someone had told him ten minutes ago that he was performing tonight. Loose sheets of paper in hand, he bumped his head on the microphone when he put them down, he looked, well, confused. None of this seemed to faze the crowd as there were numerous “I LOVE YOU JOEL” greetings before he had struck his first note.